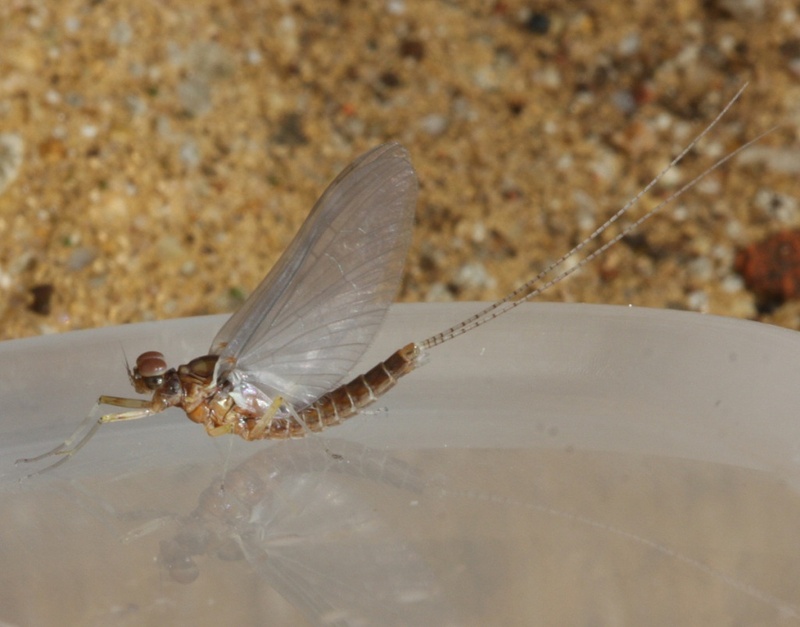 Length: 5 to 7 mm; wingspan: 13 to 25mm. 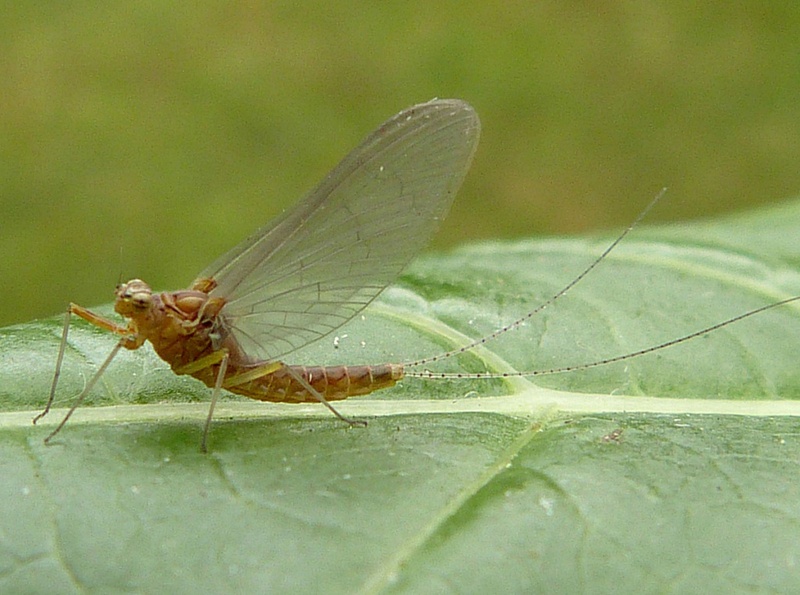 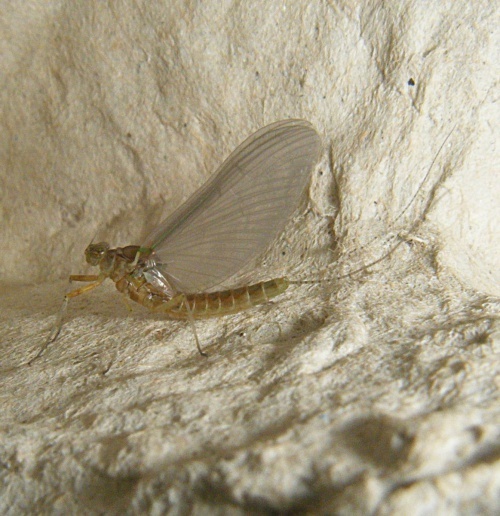 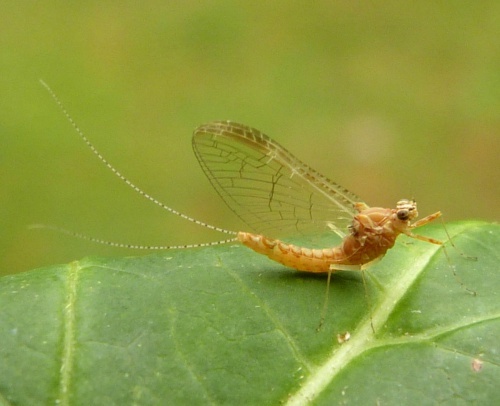 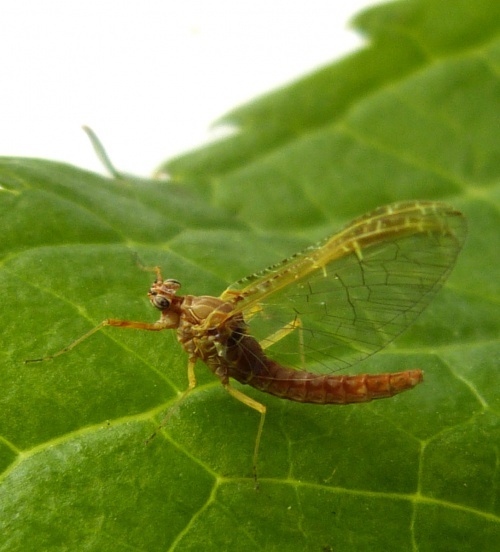 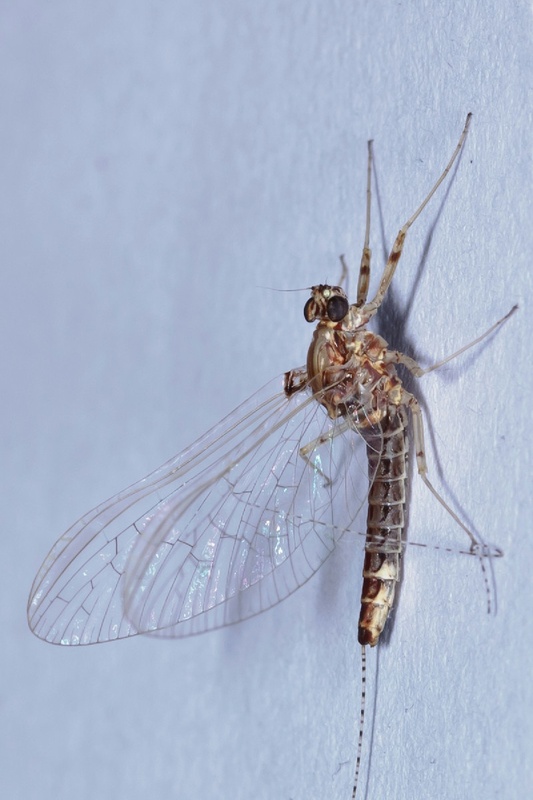 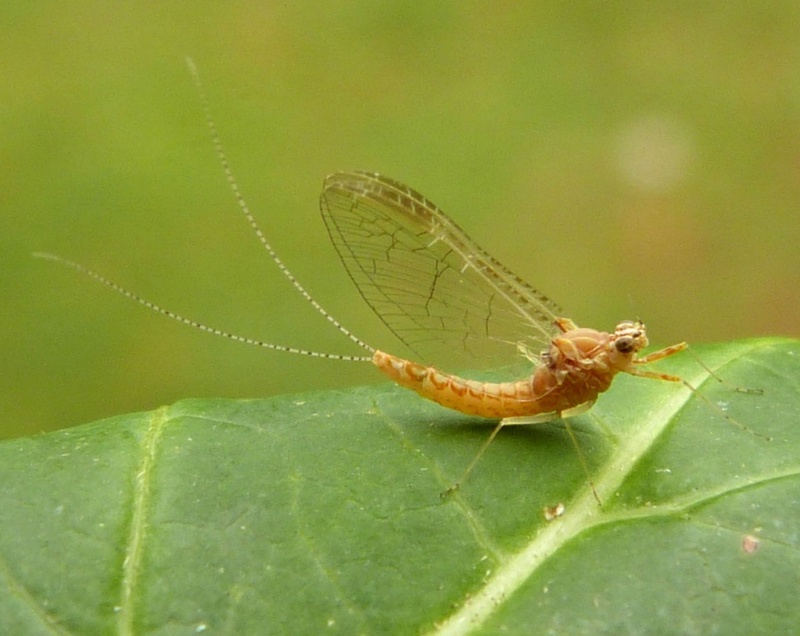 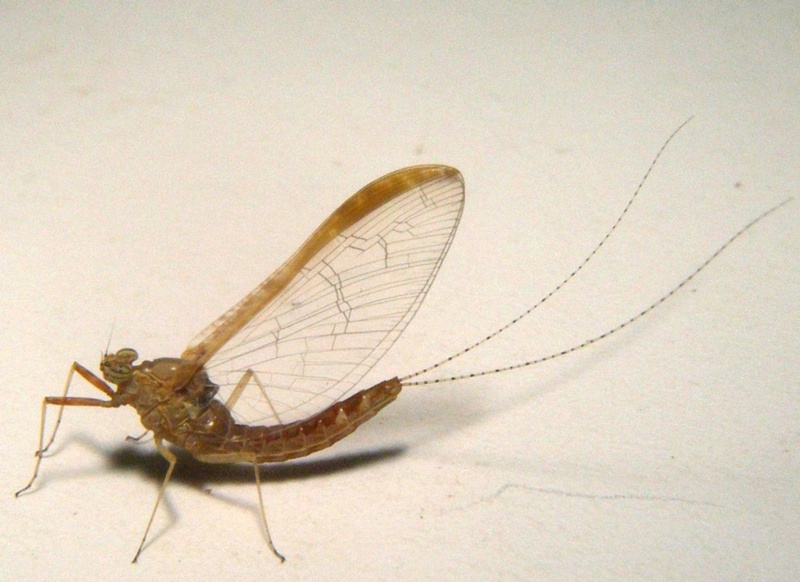 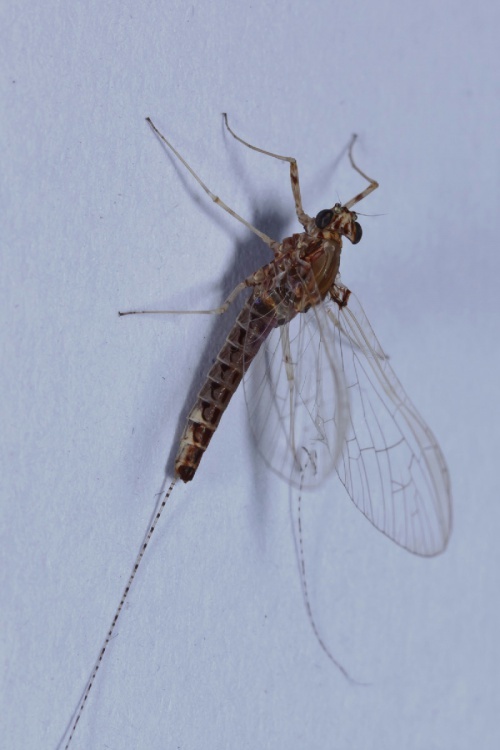 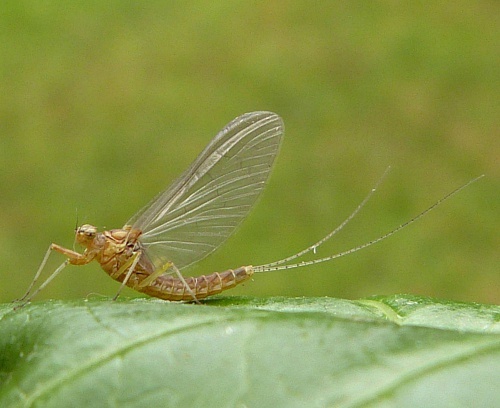 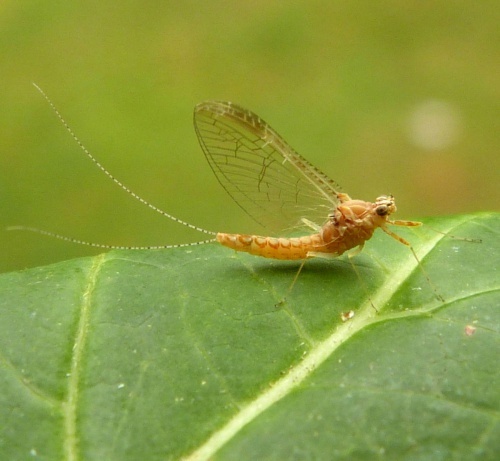 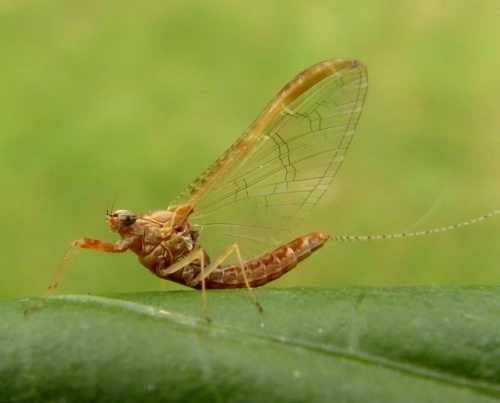 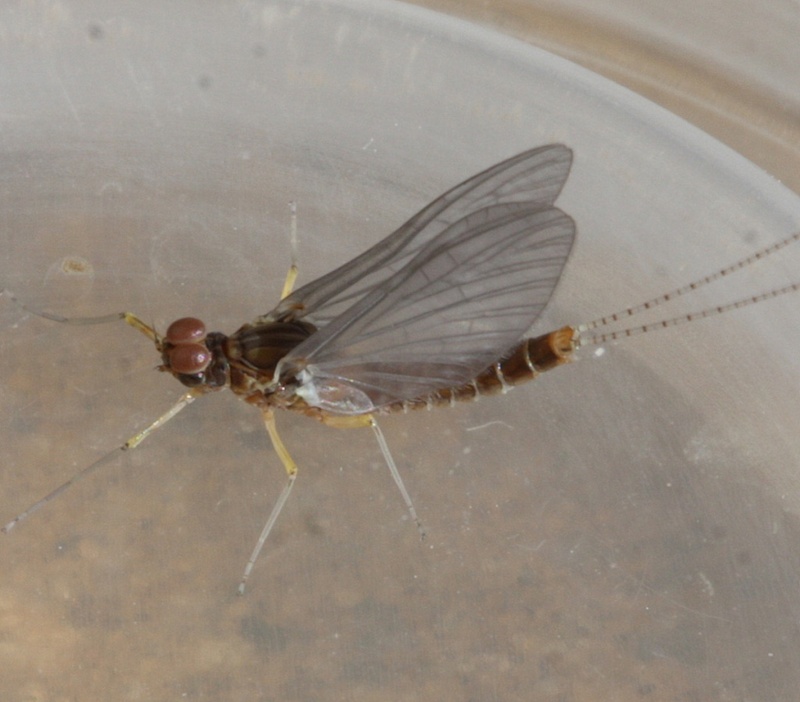 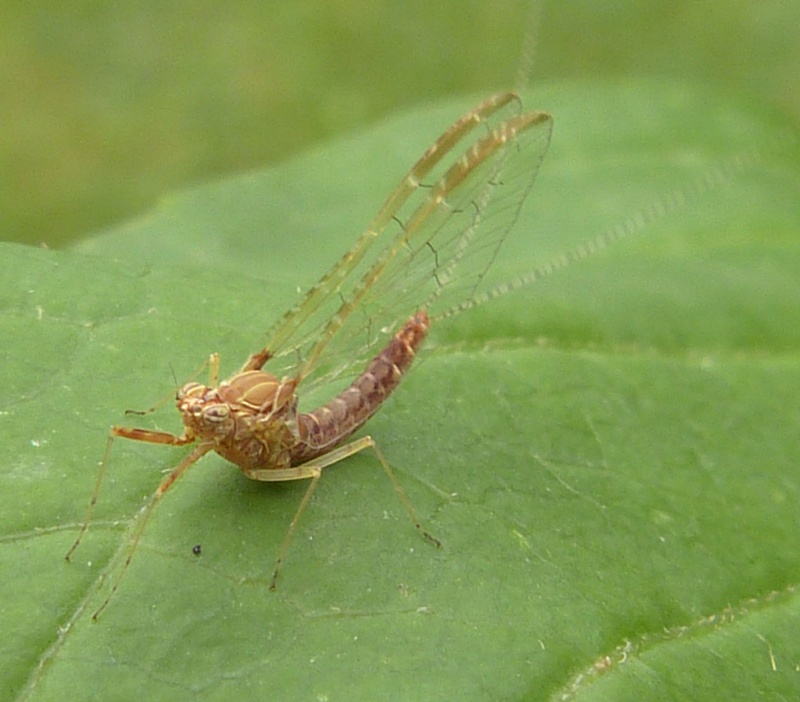 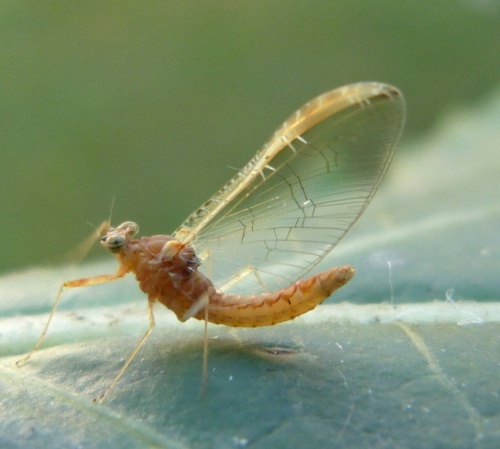 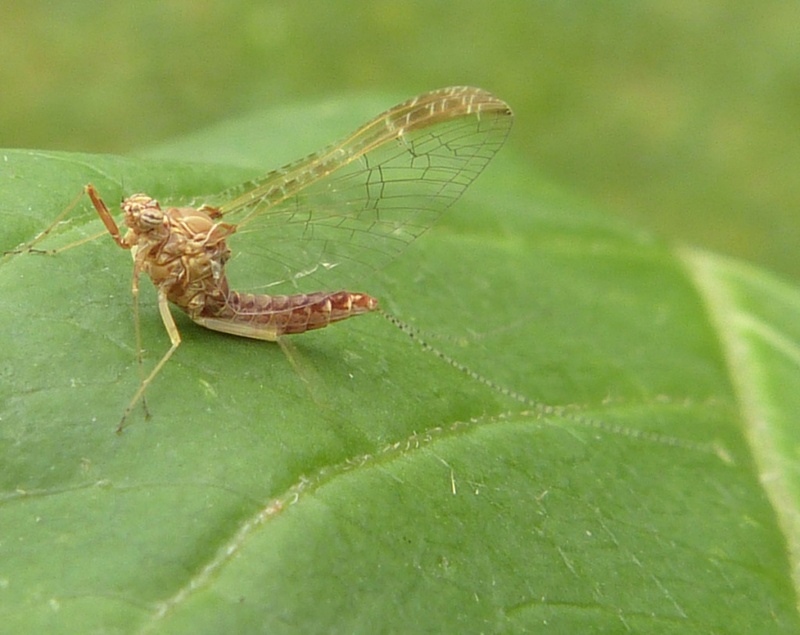 A reddish brown mayfly. The compound eyes of C. dipterum show a striking sexual dimorphism, whereby females have lateral apposition eyes, while the males' eyes have additional dorsal "turban-shaped" parts that function as superposition eyes. These extra eyes are thought to enable the males to locate isolated females in the mating swarm. Around ponds and favouring small ponds. 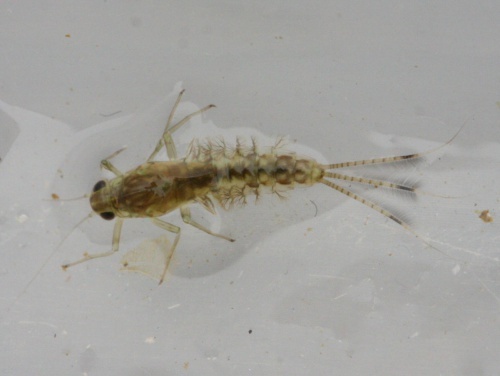 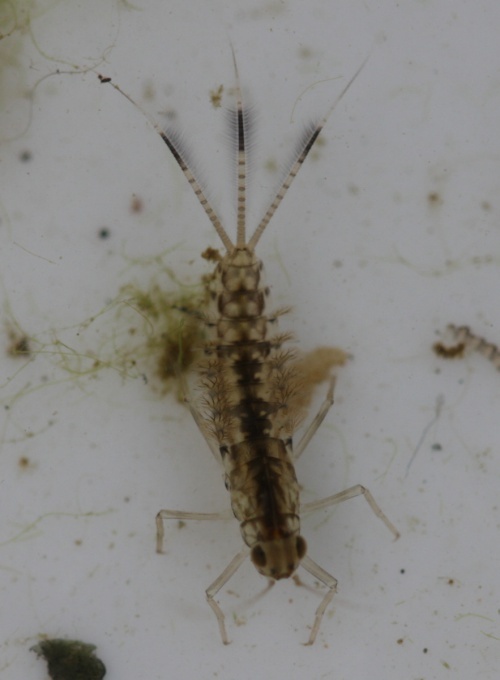 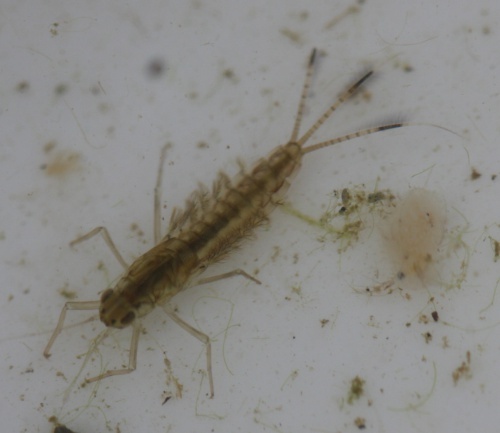 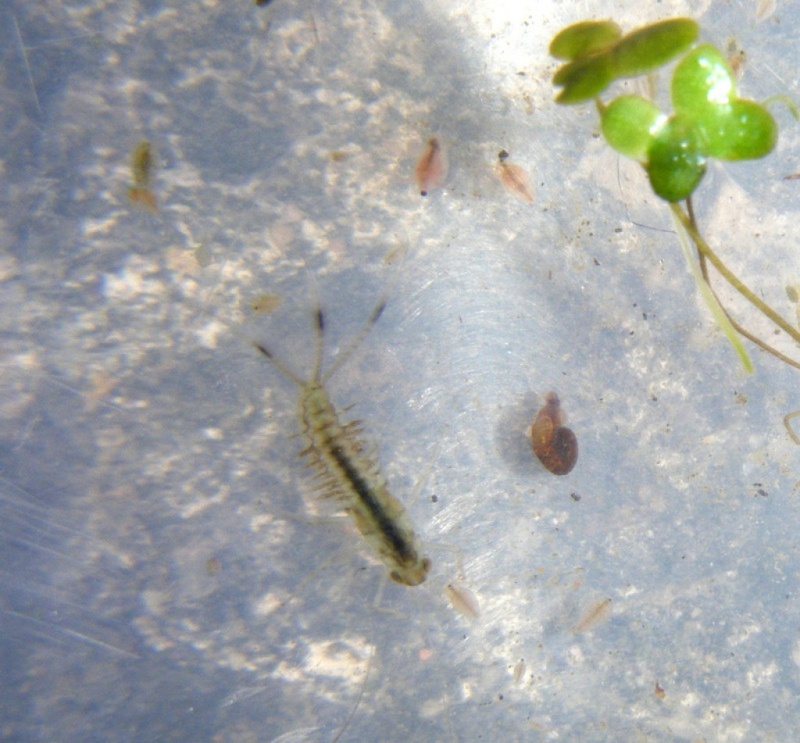 The larvae feed on algae and detritus in ponds, the adults do not feed at all.